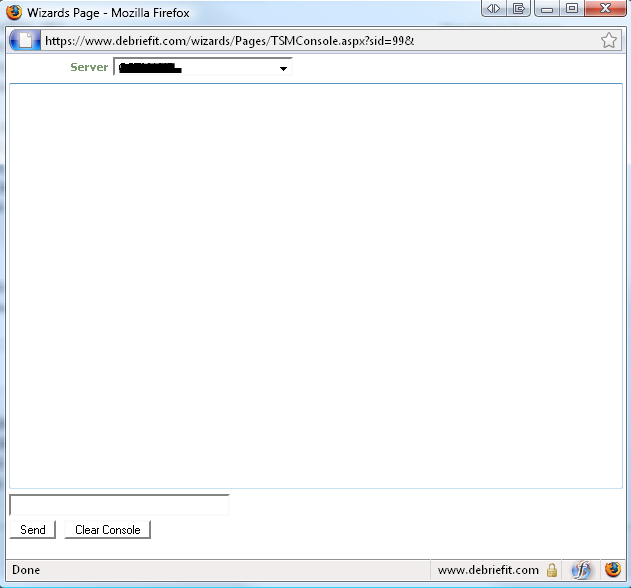 The purpose of the CMD agent is to accept self-service commands from the self-service portal. 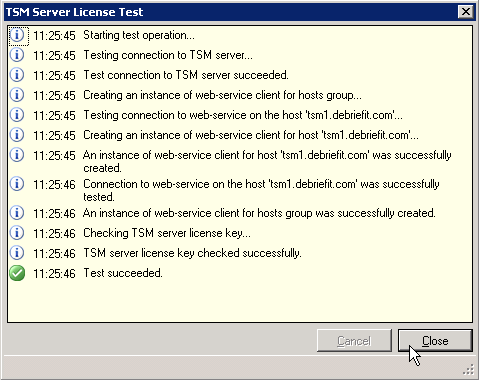 self-service commands is a sequence of one or more TSM commands. The agent cannot recieve TSM commands directly. No additional settings or software is needed. 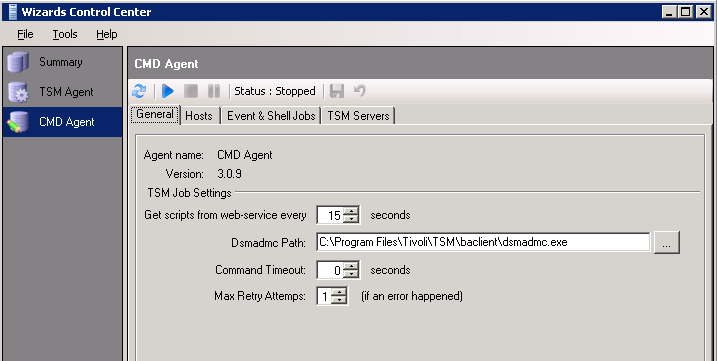 Select the CMD Agent and click "Stop" to stop the agent while configuring it. Dsmadmc.exe is the TSM Administrative Command Line Client. 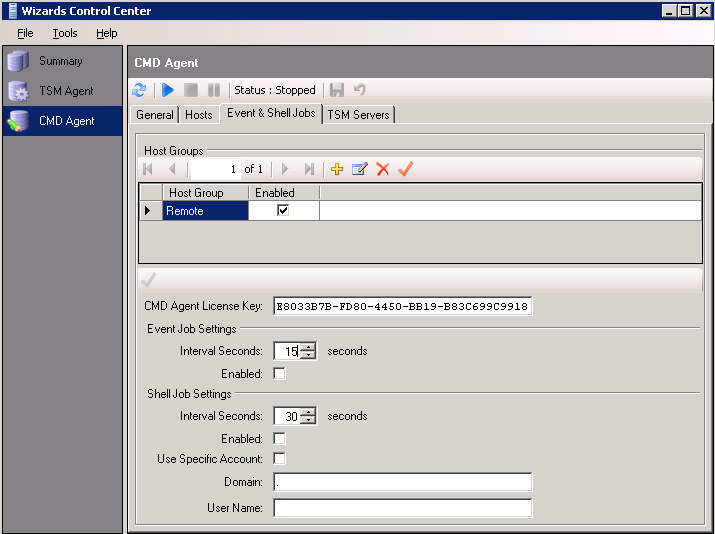 The CMD Agent uses this interface to extract data from the TSM Server. 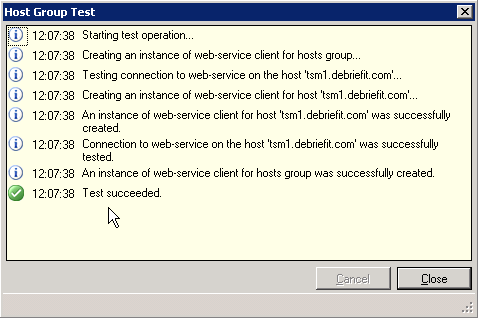 Choose the "Hosts" tab and click "Test" in the "Hosts Groups" section (under normal circumstances you will only have a "Remote" host group defined, and 2 "Hosts" will be predefined in that host group). 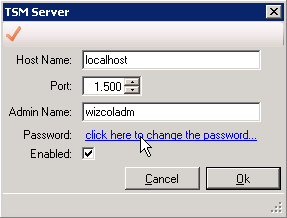 Enter hostname (or IP address) and port number to use. Then click "click here to set up the password". 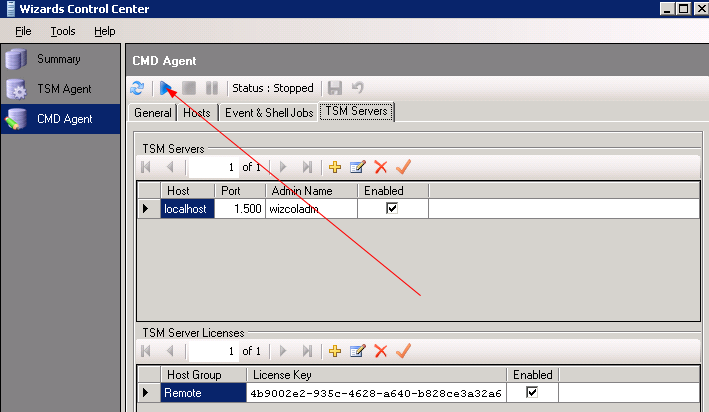 This is the password you have set on the TSM server for the administrative account. 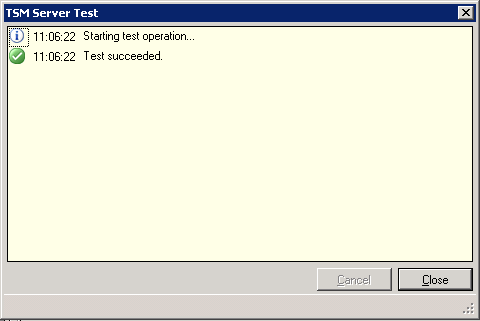 Enter the password (twice) and click "OK" until you return to the main window, now showing the server you have defined. 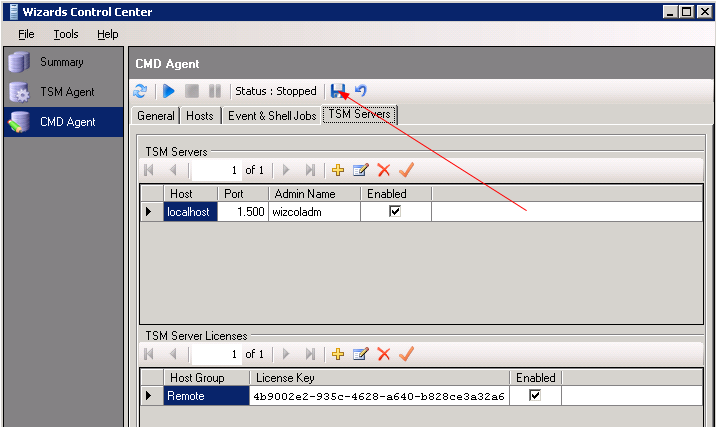 Repeat the steps above for each TSM server from which data are to be collected. 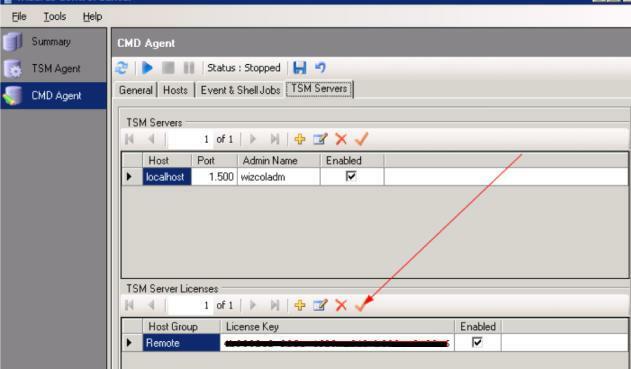 The final step is to bind the wizard licenses to your TSM servers. Enter the license key that you have received. 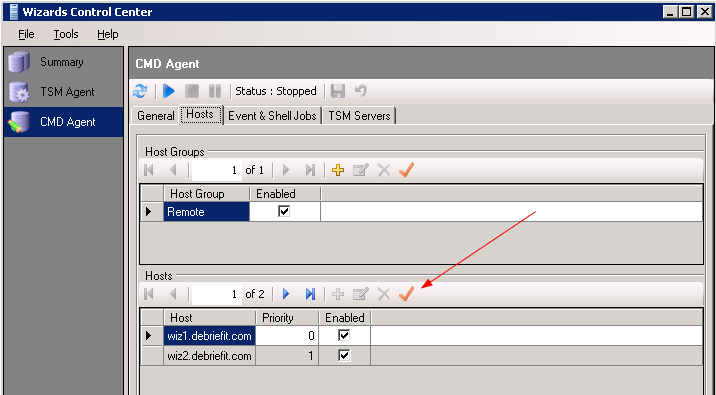 Under normal circumstances, you only need to register a license for the "Remote" host group. 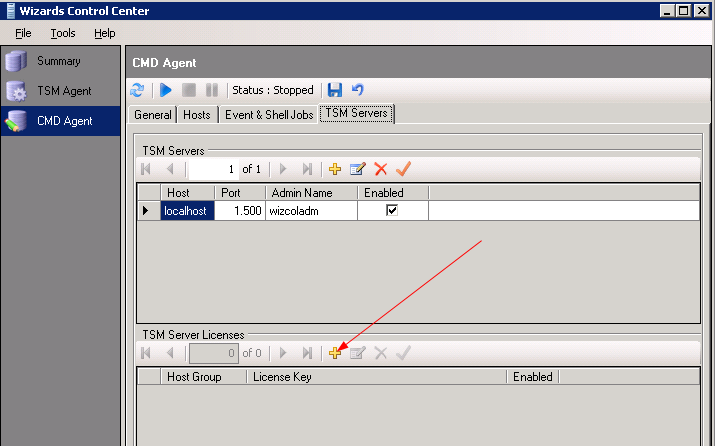 Repeat the steps above for each TSM server defined (if you have more that 1 TSM server, you need a separate license key for each server). 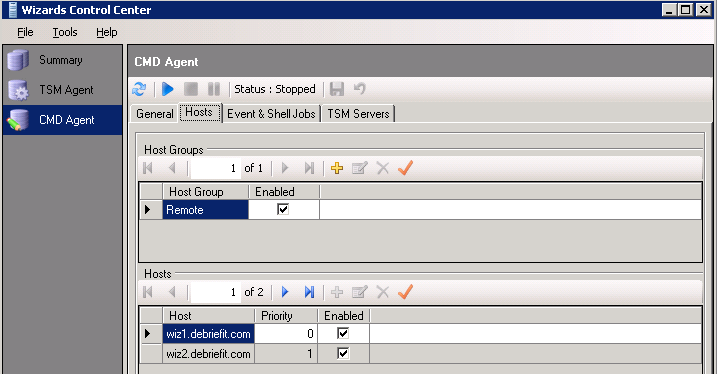 Start the agent by clicking "Start"
The agent will now give you the rights to send a command to the TSM Server. 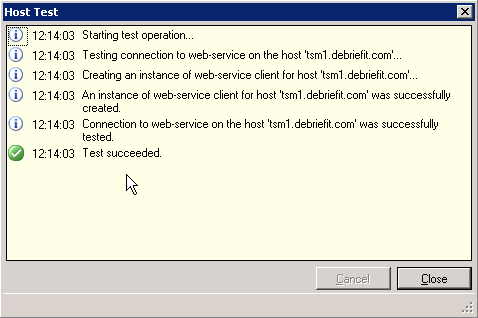 Choose Server and then type a command to test the response. e.g. "help q"